The global crop nutrition and crop protection sectors have seen substantial, large-scale merger and acquisition (M&A) activity of late. Producers have sought consolidation and cost synergies in the face of low growth and soft pricing in global farm produce and fertilizer markets. Notable deals include ChemChina’s purchase of Syngenta, Bayer’s move to buy Monsanto, and sell parts of the business to BASF, and Potash Corp and Agrium merger to create Nutrien. The Dow Chemical/DuPont merger will also create a new major crop protection business when it is spun off next year. 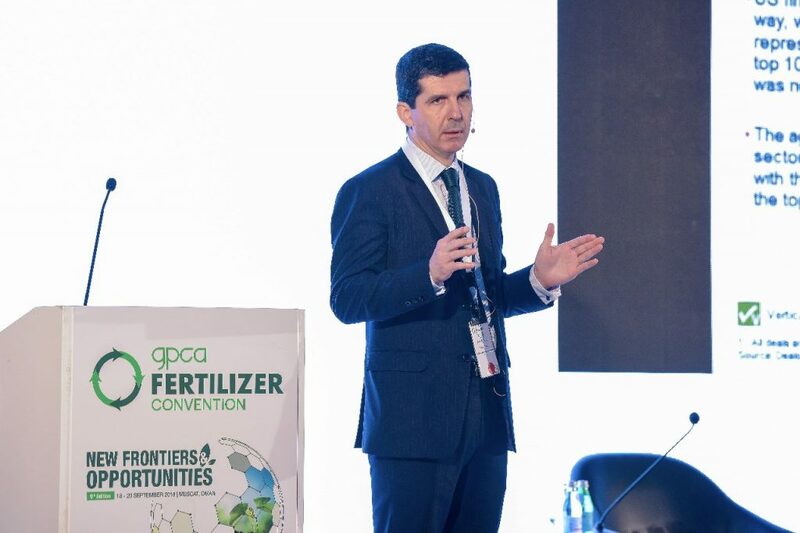 Companies have been keen to improve their network efficiency and supply chain reliability through scale, says José Alberich, partner at A.T. Kearney Middle East, and a speaker at this year’s GPCA Fertilizer Convention in Oman. They have also been looking for global capacity additions and market positions. But the drivers for M&A in the sector are changing, he explains. Going forward, portfolio development and acquisition of new technologies will become much more important. And, whereas GCC commodity fertilizer producers have been largely unaffected by the recent major wave of deals, they may well play a role in future. GCC producers today are largely exporters of commodity nitrogen and, more recently, phosphate fertilizers, but are keen to add potash capability, move into more specialty crop nutrients and also supply products such as solvents into the crop protection business from their position in heavy distillates. A further potential, says Alberich, is to take advantage of their strength in ammonia to move into methyl- and ethylamines and ethyleneamines production, which is limited in presence in the GCC region at present, with just the Huntsman/Zamil Group joint venture active in production. With the investments at Ma’aden in Saudi Arabia, the GCC fertilizer sector has added phosphates to its ammonia/urea capability. “What is missing now, points out Alberich, is to add the third macronutrient to their portfolios. A route to this, he indicates, would be to joint venture with potash producers to the north of Saudi Arabia, in the Red Sea/Dead Sea area, such as in Arab Potash Company of Jordan. This has been examined for many years, he adds, but developments are now seen as more positive. An investment in this region, either through M&A or joint venture, would be well placed as a fertilizer hub, as NPK product could be exported easily either westwards via the Red Sea or to the East with existing infrastructures. Such large-scale investments aside, the GCC producers have the opportunity to drive further into the speciality fertilizer, such as water-soluble and slow-release formulations, and micro-nutrients areas through targeted M&A. SABIC has resolved to play in this market, noting in its 2017 annual report that it “has earmarked significant resources for acquisition, primarily in petrochemicals, agri-nutrients and specialties, over the next five years.” China, in particular, is a strategic market for SABIC, but it is also looking at new horizons in Africa and Latin America. Such moves are timely, notes Alberich, as GCC producers have lost market position in nitrogen fertilizers due to the US shale gas-driven expansion in North America. 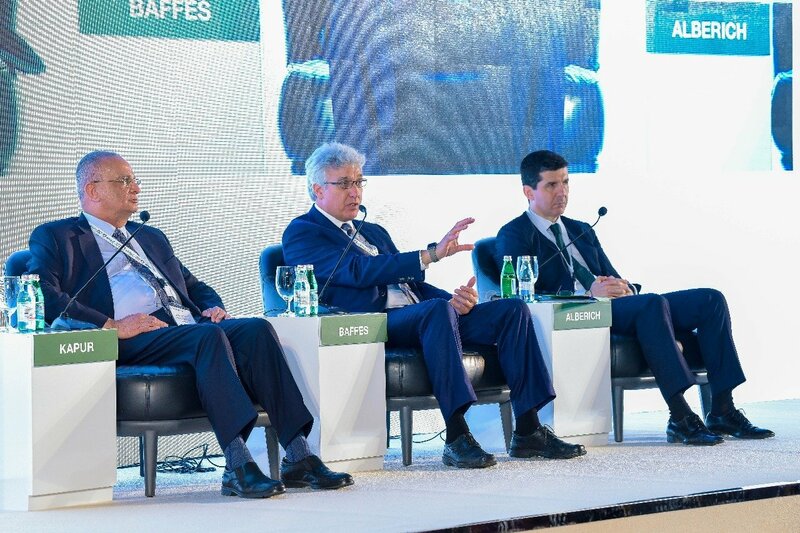 “GCC has historically been the balancer in global trade flows, serving the US and India on a seasonal basis.” Now, with N fertilizers dominated by around six major players, there is not room for further investments in the GCC region, he believes. This is not so when it comes to phosphates, he adds, noting that Ma’aden is now looking to proceed with its Phosphate III third-phase investment. He also thinks it unlikely that GCC produces will move into crop protection markets, like ChemChina did with Syngenta, given that there is really no pull from the need to service the huge demand in domestic markets. While a move into active ingredients is ruled out, he does see potential for GCC producers to supply the crop protection products formulation sector, offering solvents especially from their middle distillates and aromatics output. In conclusion, says Alberich, the message is that GCC producers are unlikely to replicate their success with nitrogen fertilizers, although they may be able to approach this in phosphates and potentially potash. The route forward is in specialty nutrients. 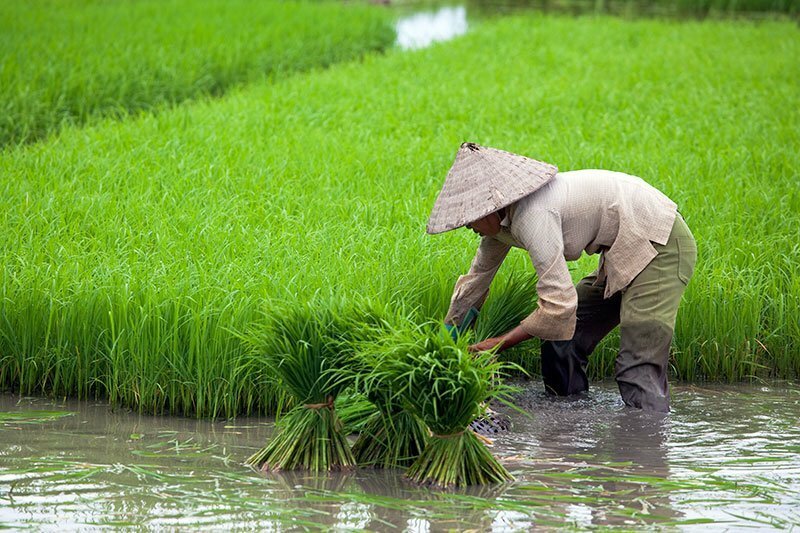 GCC producers may play a part in global M&A in the agri-sector, it may well be limited in scope. In any case, he says, the days of huge deals in the sector are likely over, with activity in future much more geared to smaller portfolio- and technology-driven deals.